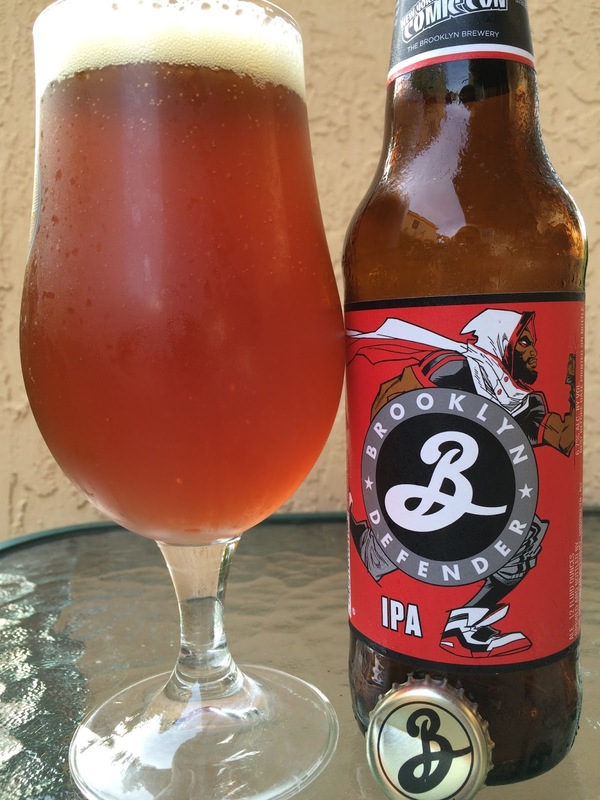 Today I'm checking out Defender IPA brewed by Brooklyn Brewery. 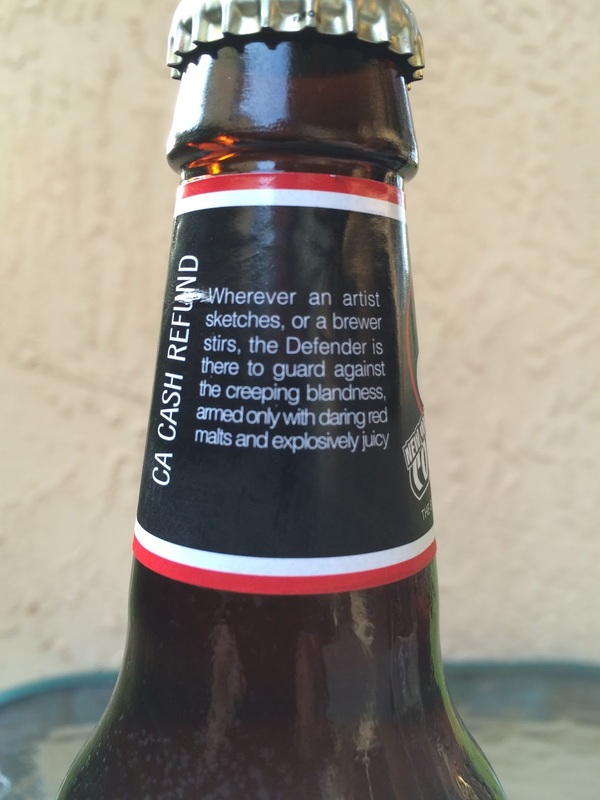 This is the official beer of New York Comic Con, so the brewery created a superhero to "guard against the creeping blandness" lurking in the shadows of the beer world: The Defender! Very juicy aroma, tropical and full of pineapples. Delicious. Juicy and tropical flavors as well, but pineapple shares with oranges and mangoes in the flavor profile. Caramel, bread and quite a bit of herbal flavors are also prevalent. A bitter balance of citrus, pine and some grassy, peppery spiciness does show. A little different, interesting, not a "cookie-cutter" IPA. Not bad. 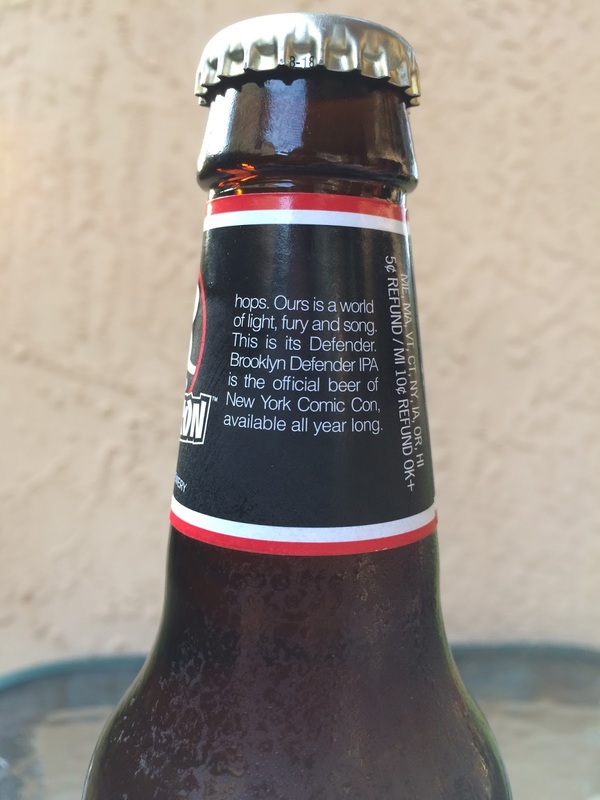 I feel defended!